Thousands of customers, like Kristy, depend on Metro transit every day to get to work, school and other important destinations. We hope you enjoy her story, and we’re interested in your transit story too. Email mrhibbard@metrostlouis.org, and we may share your story in a future “Passenger Profile” blog. Kristy is not a fan of St. Louis traffic. “I don’t like driving over to St. Louis at all,” she said. Luckily, Metro can do the driving for her. 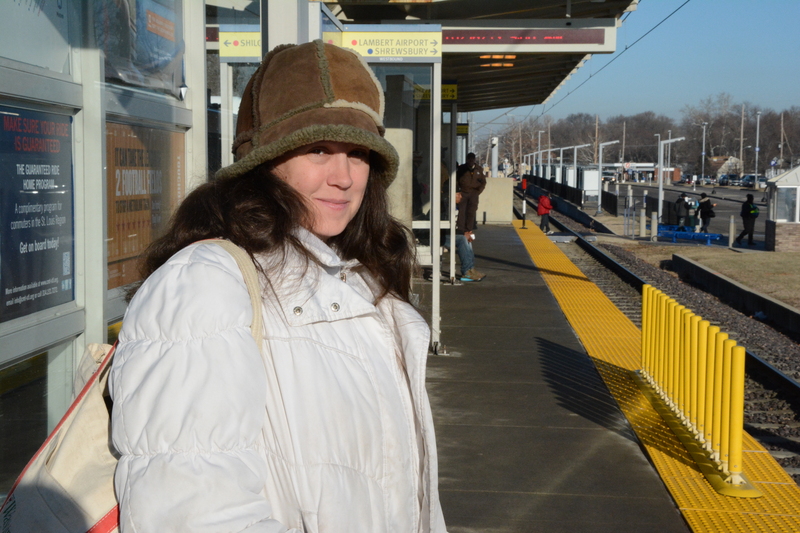 Kristy has been using MetroLink and MetroBus since 2002, when she accepted a job at Washington University. Since then, in addition to making public transit a regular part of her work commute, Kristy also uses Metro to attend events around town such as St. Louis Cardinals games. Her trip to work typically starts by parking at the Fairview Heights MetroLink Station and taking the train across the river to the Central West End MetroLink Station. But sometimes she’ll also include MetroBus, taking the #16 St. Clair Square bus from Illinois Route 159 to the Swansea MetroLink Station and then riding MetroLink to the Central West End Station. Kristy said her commute usually lasts about 40 minutes. “It’s downtime for me,” she said. She also enjoys reading, checking email and looking at news on her phone. Having time to relax is just one of the perks of using Metro transit that Kristy enjoys. An added bonus is having the opportunity to save on gas and save money. In fact, Kristy pays nothing when it comes to using Metro, because Washington University provides employees with free transit passes as one of their benefits.